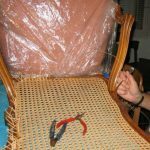 Are you a new chair seat weaver? Getting into this seatweaving craft for either fun or profit? Are you intimidated by weaving your first paper rush seat? 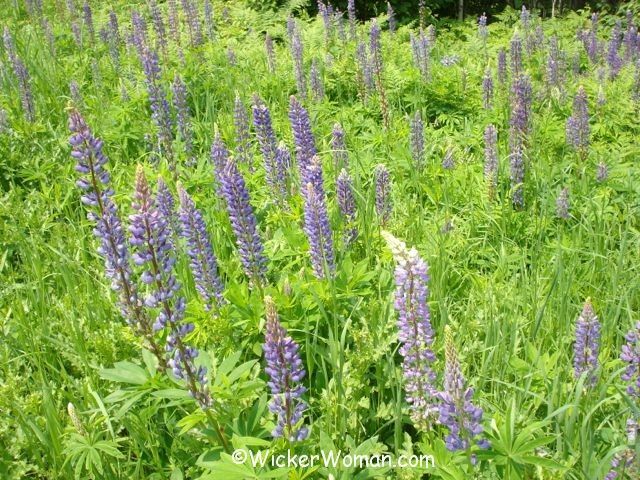 If so, then maybe this post will be a big help to get you on the right track. This page might contain affiliate links. 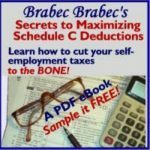 In the event of a sale, I will be receive a small commission at no extra cost to you. Most likely you are familiar with the traditional way of beginning the paper rush weaving process, right? You’ve purchases you paper rush from the suppliers listed here on the Cane and Basket Supplies Directory™ and assembled all your tools , right? And you’ve removed the old seat and tacks using an upholstery tack lifter ? And if you are a regular reader of my blog, you know that there are alternate ways of starting to weave rush “short rows” in the gussets, too, don’t you? 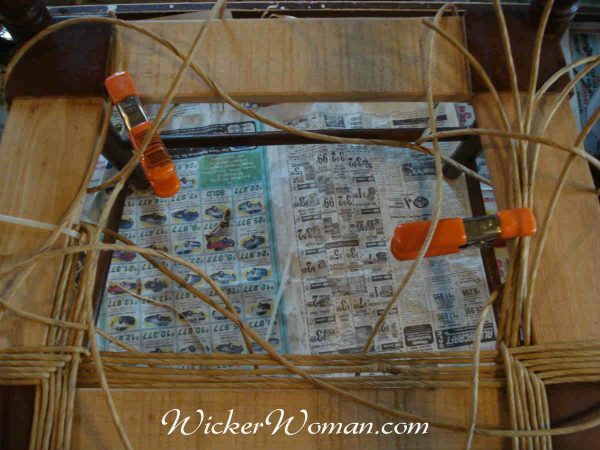 Using only the cable ties to secure the ends of those short rows in the gussets, instead of pounding yet another upholstery tack into the side rails, really helps save the integrity of the wooden rails. Determine how many short rows you need to fill the space on the front rail that is the difference between the length of the front and back rails. Double your length of the “short row” and then fold in half. Secure all the strands at the fold with long cable ties wrapped around the rail. Leave the tab or end on the inside of the seat and cut as short as possible. This is in the gusset and will be covered by the weaving. And then on the ends, secure those with cable ties also. It’s obvious here I should have used clear or white cable ties, but in the end result, they didn’t show at all anyway. But to be safe the next time, I used clear. Why yes, it’s cable ties to the rescue! Hold all the doubled up “short rows” on the left with one cable tie. Then when you get to the right side, hold the ends in place with a spring clamp . After you weave around those corners a bit, then pull the spring clamp out and the weave will hold the end strands in place. #4. Yet another way of starting to rush that seat??? Well, there’s yet another way to starting that rush seat that I’ll tell you about in the next post! So stay tuned for more! I recently bought two children’s chairs with rush seats. The previous one had spray painted the Rush dark brown/almost black. I’m going to clean and repaint the chair but am a loss what to do about the seats. Well, Chris Ann, it seems to me that you have two choices with the little rush seats. 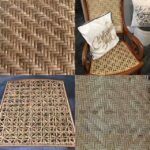 Either reweave them or have it done if you don’t want to do the weaving yourself or you can leave the rush seats the way they are. Maybe you can paint the chairs a nice color that will blend with the seats or contrast with the seats nicely. And it’s too difficult and messy to try and strip the paint off the rush seats, believe me! Good luck, hope it all works out! Hi, My rush cane is tangling as I start to weave. Am I getting it too wet? It gets all twisted and I spend most of my time untangling rather than weaving..
What kind of rush are you working with? Paper fibre or pre-twisted grass rush? If using pre-twisted it’s entirely possible you are getting the rush too wet and then besides tangling, it might also be untwisting and unraveling. Is that the case? And if you are using paper rush, then it’s not necessary to wet it much at all. As you are weaving the pattern, be sure that you are not twisting the coil in the opposite direction than what you are going. Make sure you twist the coil correctly as you go around each corner or post. Hope this helps! 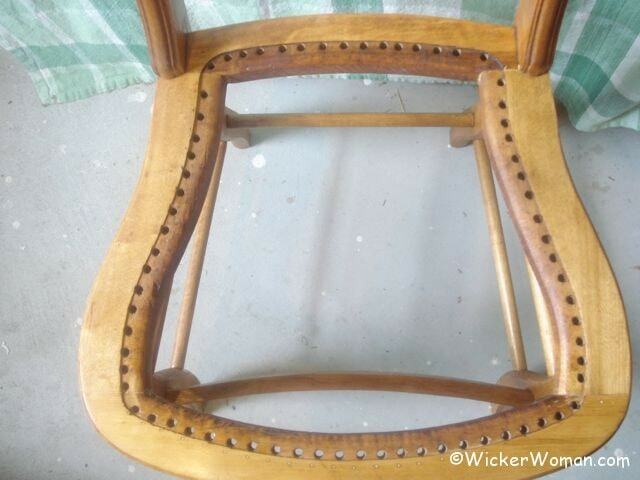 How do I know how many feet of rush I will need to redo a chair? Each one of the companies listed on my Cane & Basket Supply Directory™ has tables that explain and show you how to calculate how much paper fibre rush you will need to do a chair seat. 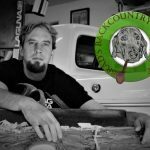 But on average and depending on the size of rush you want to use, to do a 14″ x 14″ chair seat, you will need approximately 400-500 feet, which is about two pounds. Since the rush is sold by the 2 lb. coil, you would need one coil. However, just to be on the safe side you might want to order more than the minimum. If you are still in doubt about how much you need after reading their order pages, just give the supplier a call and explain your project and give them the dimensions of the chair seat. 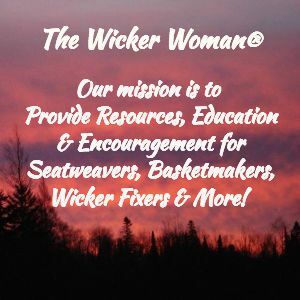 Hope your project goes well, and please tell the supplier that you contact, you saw their ad on WickerWoman.com! 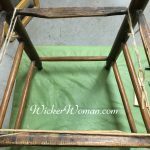 Of course, every chair is different in size, so requires a different amount of rush to weave, but a general rule of thumb is that it takes two, 1-lb. coils of rush to do a 14″ wide chair seat. Another thing that figures into this is the size or gauge of rush you are using. The smaller diameter rush will require more feet and the larger gauge will take less footage. But no matter what, when you are ordering your rush, be sure to call the supplier and explain your situation if you can’t find the information on the tables they have in their website catalogs. 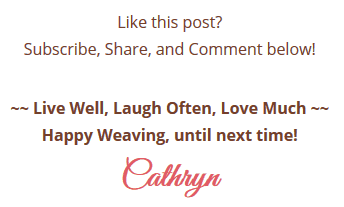 Thank you for the very timely blog on rush weaving. It is a skill I want to add to my 7-step caning skills. 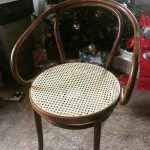 Before I do a practice rush job (ha, ha) on my wife’s chair, I have to refinish and re-cane a bentwood rocker made out of bamboo. This thing is huge. It resembles Santa’s sleigh more than a chair. Bamboo is very interesting to refinish because it can’t take stain unless you sand off its natural waxy protective coating. Acrylic paint to the rescue! This adds color but retains the natural ‘grain’ of the bamboo. I am getting two rush seats to replace on Monday. 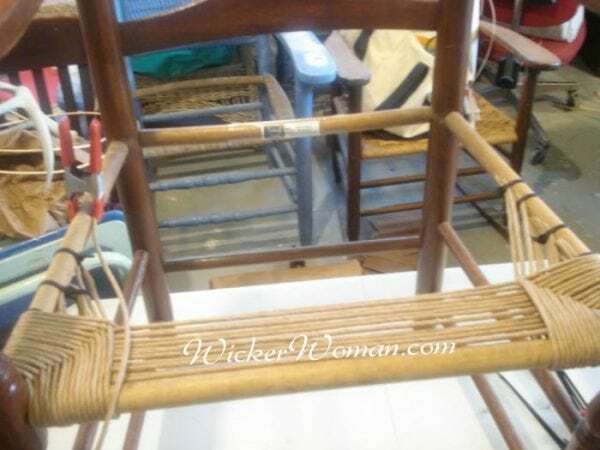 I have never worked this alternate way to weave a rail chair. 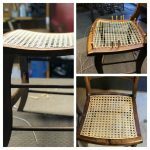 I did see a tutorial from a craftsman chair seat using rush, where he went loose around the seat with the rush then tightened up after four wraps. But I do not remember if he used the gussets form to start off. I want to use this method on this up coming project. Very nice & beautiful. Oh great Kathleen, trying out new rush starting techniques is always a good idea. Then once you find one that really works for your situation, you can use it all the time. Finding alternative ways to save the rails from all those tacks is always a plus. 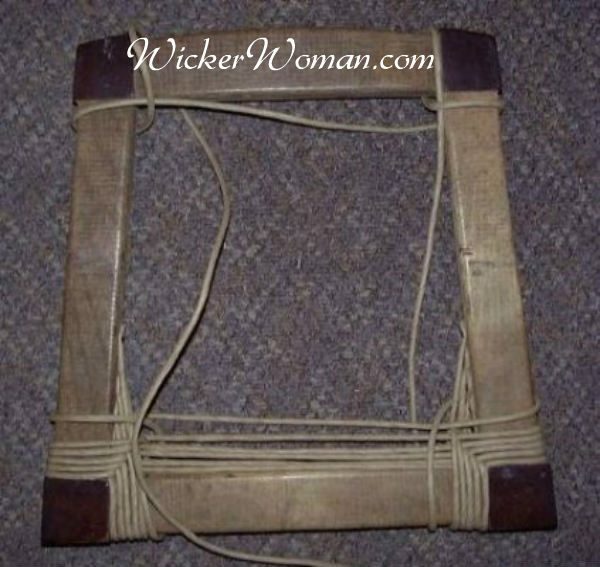 Early on in my weaving career and after I got the rush weaving sequence down really well, I would always weave several complete rounds loosely and then go back and tighten up all the rows. It’s amazing how much time that saves you! When teaching my students, I show them the technique but also warn them that it can be extremely confusing and they must master the weaving sequence first.